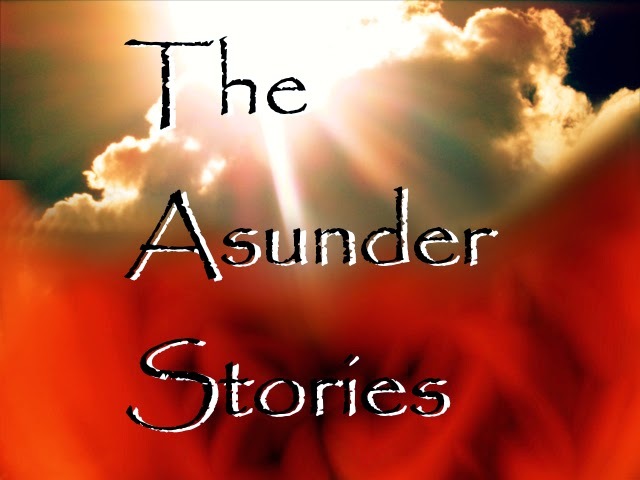 Today's except is from a work in progress set in the world of the the Asunder Series. Right before my eyes the suns illumination of the path between the Forever’s and the Mortal Realm dimmed. Scattered shadows spread together like spilled puddles of darkness giving birth to demon twins and triplets all fathered by the depths. This was as close to the Unknowns as I had ever come, and I couldn’t move. The humans filed into the courtyard like lambs to the slaughter all hoping to witness the darkness occult the sun. “It’s a solar eclipse,” the mummer’s echoed amidst the scholar’s shielding their eyes to the unplanned event. I didn’t know what was happening, but I was pretty sure that the calls of demons being liberated from the shadows meant that this was no eclipse. Bursts of wind whipped through my hair joining the cocktail of chaos erupting all about me. Everything seemed to move in slow motion as if I were a student watching the clock in in my least favorite class. But what I was watching was an invasion of darkness that could quickly force me from observer to warrior at any moment. The hordes of demons escaping onto the human dominated territory all seemed to notice me at the same time. I dug my heels in where I stood, as the prowlers inched toward me slowly. It was as if they couldn’t decipher who or what I was. Some even lost interest setting their sights on nearby hosts to invade. I couldn’t help but hope that the others would soon do the same. Sadly, that was not the case, but I was ready for a fight. One brave stalker boldly lunged at me. I caught by the throat in in midair. The creature dug its claws into my arm as I mustard every bit of my strength to crush the cold fleshy mass in my hands. As its struggle faded in my grasp, I felt my body jolt as lightening appeared against the curtain of darkness blotting out the sun. The random flourishes resembled a drum roll warning that an uprising would not be easy. Thunder shook the plain and I could feel myself remembering how to breathe just as Ariel and Rafi swooped in. Even as the Unknowns tried to swallow the Mortal Realm, I couldn’t help but admire their perfectly crafted wings. They immediately began to thin the pack of predators still sniffing around me. One flipping dark creatures like coins, and the other simply beating one demon with the defeated body of another before tossing the parts back into the fountains of darkness connected to the Unknowns. The sounds of breaking bones and shrill cries served as an alarm clock sucking me back into real time with the realization that my brothers had come to rescue me. I looked over at my appointed care taker who seemed more afraid of being entrusted to protect me than of being in the throes of battle. His small stature made me feel that it was more likely that I was rushing him off to safety as he paled in comparison to Ariel, Rafi and Mikal. Then again my brothers were a little busy ferociously defending a world that had no idea it was in danger. I never imagined being this close to the fierceness of darkness. Oddly I didn’t feel any fear, to be honest I didn’t feel anything, except curious. I felt my brother shoving me into the arms of Taleb which was completely out of his “Big Brother” character. Taleb held on so tight that it almost hurt to breathe. He crouched down, his rendition of a running start, and then propelled us upward toward the safety of the Forevers. Demons hovering above parted like the Red sea as we thrust through them making a path for our exodus. My hair, now coated in the thick stench of sulfur, beat against my face as we cut through the dark dwellers. Entangled in the grips of my caretaker, they still sniffed and gnashed at me, some so close I could feel their cold claws and breath on my skin. The sight of my brothers and their troops getting smaller as we ascended was unnerving and the scope of the hordes attempting to possess the land of the living seemed never ending. But this battle, though unexpected, was destined to fail. They are Archangels, specifically chosen to slay demons great and small and this world needed them, as the Mortal Realm was undeniably under siege.